In the late 1970s, a formula was created which promised a quick and easy method of calculating a reading grade. But, what is the Raygor readability graph, where does it come from, and how can it best be used? What is the Raygor estimate graph? 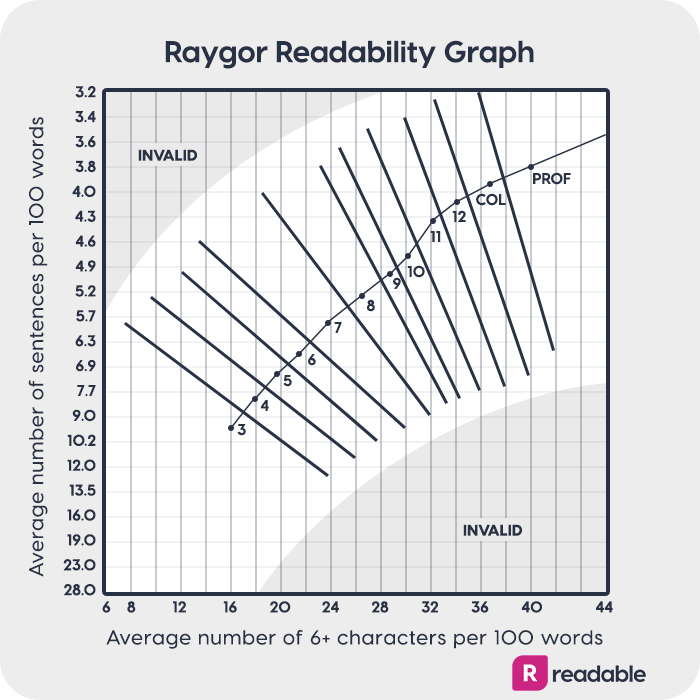 The Raygor estimate graph is a graph-based readability formula which calculates the US grade level of a text. 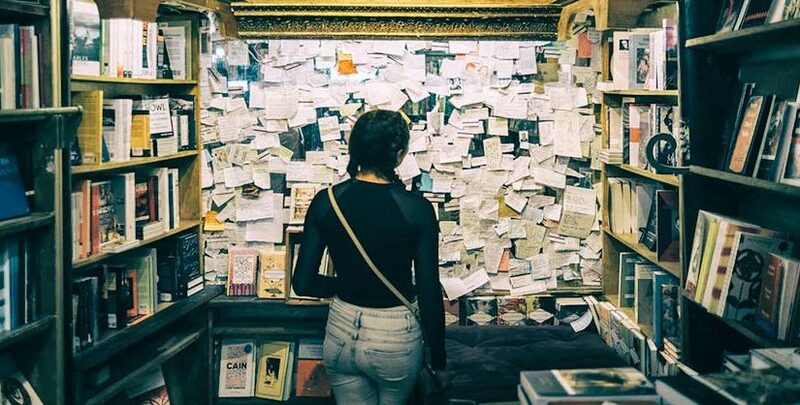 It promises a quick way to classify a piece of writing in a way that’s simple and easy to understand. How is the Raygor grade level calculated? Extract a 100-word excerpt from the selection. If the text is very long, take subsamples from the beginning, middle, and end of the text. Count the number of sentences in each passage. Count a half sentence as 0.5. Count the number of words in each passage containing six or more letters. Find the point on the Raygor estimate graph. Luckily, we’ve made it even easier within our bespoke range of algorithms in ReadablePro and we’ve taken formulas into the 21st century. You won’t have to do any plot-pointing on the graph - the ReadablePro tool will do it for you and analyze your text as a whole. It will then show you the Raygor readability grade along with the other formulas we offer and our own overall readability rating. Where did the Raygor graph come from? The Raygor graph was created by Alton L Raygor in 1977. Inspired by the Fry formula, he created Raygor as a similar calculation to Fry, but with a key difference. Whereas the Fry graph uses syllables as a variable, Raygor preferred to use letter counting. In the Raygor readability formula, words with six or more letters are counted as difficult. Raygor felt that although most of the Fry calculation and graph plotting was quick and easy, syllable counting was more time consuming than letter counting. Although the Fry graph is widely respected and used, the Raygor formula allows less room for error as a letter-counting formula. In other algorithms that count letters instead of syllables - most notably, the Automated Readability Formula originally made for typewriters - the preference for letter counting is credited for having better test-retest reliability. This is because the number of syllables can be easily misinterpreted. How can it best be used? As shown on the graph, the Raygor formula can plot texts up to college level. However, the graph is best used in middle school education to classify texts. It’s not suitable for elementary level materials, as it cannot score a text below third grade. A middle school text is equal to a reading age between 11 and 14. Any readability formula which calculates a reading grade level is useful for teachers, librarians, and parents in classifying the texts most appropriate for the individual. Why is readability in middle school important? If you’re lucky, you have fond memories of middle school. For most people, it can be one of the most turbulent periods in their life. It can also hold impactful memories, either positive or negative, of our experience with reading and learning. During this time, students are also taught to read independently for enjoyment and to challenge themselves. When thinking about readability in education in general, it’s important to note that a text should be appropriate for the student. Give them something too easy and they’ll get bored and be less engaged. Pick a text too hard and they’ll be discouraged and lose motivation. Encouraging children to learn is particularly crucial during middle school, precisely because it’s the ‘middle’. As tweens leave their childhood behind, they’re faced with many more subjects to study and they’re trying to develop learning habits and communicative skills they will carry through their lives. They’re also in the midst of a generation hooked on their devices. This is easy to view as apocalyptic but really is an opportunity to encourage e-reading and audiobooks. Not everybody learns in the same way. It is essential that learning material is made readable for middle schoolers, especially for drier topics that, with good readability, can be more interesting for students. Plain English means better retention and comprehension of learning material and is less likely to discourage the student. By picking texts for tweens that are neither too easy nor too difficult for the individual, we can encourage success in middle school. Then they can continue to value learning and challenge themselves in their high school and postsecondary experiences. Readability formulas such as the Raygor graph provide a useful objective view on how difficult the text is to read. This can then be used alongside subjective considerations such as the reader’s background, ability, and motivation. By using these two methods hand-in-hand, middle schoolers can be recommended texts which challenge them but don’t discourage them.